Do you send Thank You notes for gifts? Do you send Thank You notes for gifts? Does anyone do that anymore? 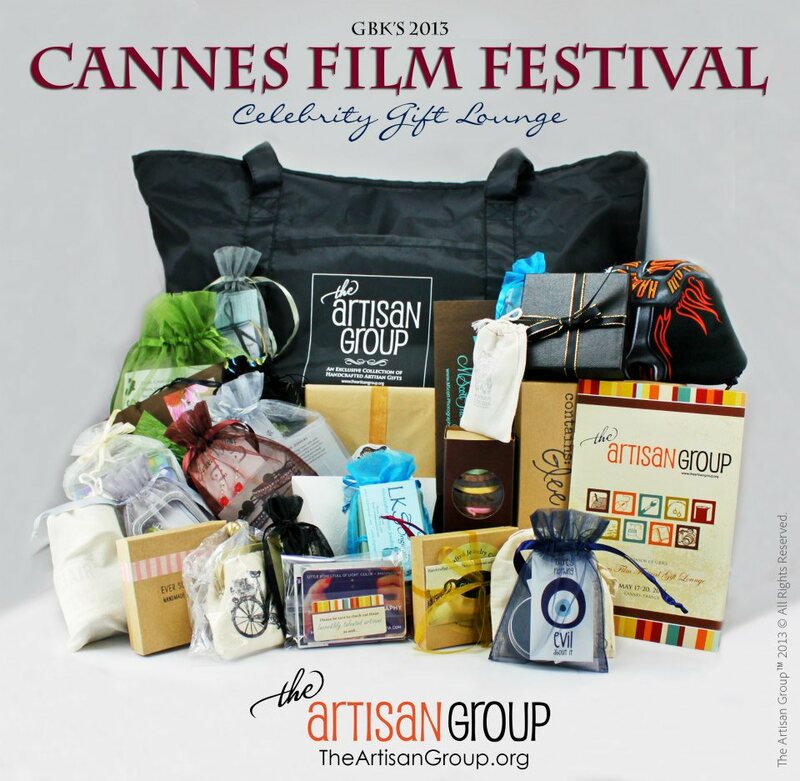 Just when I thought that tradition was dead, two handwritten thank you notes from celebrities were sent to The Artisan Group®, thanking us for the gifts we sent. These lovely notes thanked everyone for the handmade gifts that we included in the Mother’s Day Gift Bag for 2014. Each note card expressed gratitude for our personal gifts to them and by sitting down to write thank you notes it showed their sincere appreciation. To Jennifer Love Hewitt and Kristin Cavallari – You are very welcome for the gifts and I hope you enjoy wearing our Rose Quartz bracelet and all of the handcrafted jewelry and other gifts that were included in the bag! When I was growing up writing, sending a Thank You Note through the mail was very important. In the past 40 years that tradition has seemed to dwindle now that you can easily pick up a phone and call, text or email your thanks. I was glad to see that this time-honored social etiquette is still alive and not entirely forgotten!! Do you send Thank You Notes? Leave a comment about how you say Thank You for gifts. Posted on May 29, 2014 October 13, 2015 Categories Hollywood and TV, Life, The Artisan GroupTags Celebrities, Celebrity Mom, Gifts for Mom, handcrafted jewelry, Jennifer Love Hewitt, Kristin Cavallari, Mother's Day, Rose Quartz, social etiquette, Thank You NoteLeave a comment on Do you send Thank You notes for gifts? 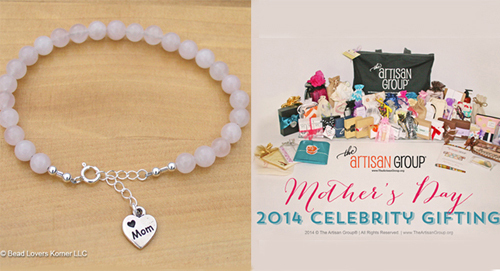 We were thrilled to have popular Celebrity Moms receive our Rose Quartz Jewelry bracelet in a specialty gift bag created by The Artisan Group©, in honor of Mother’s Day 2014. 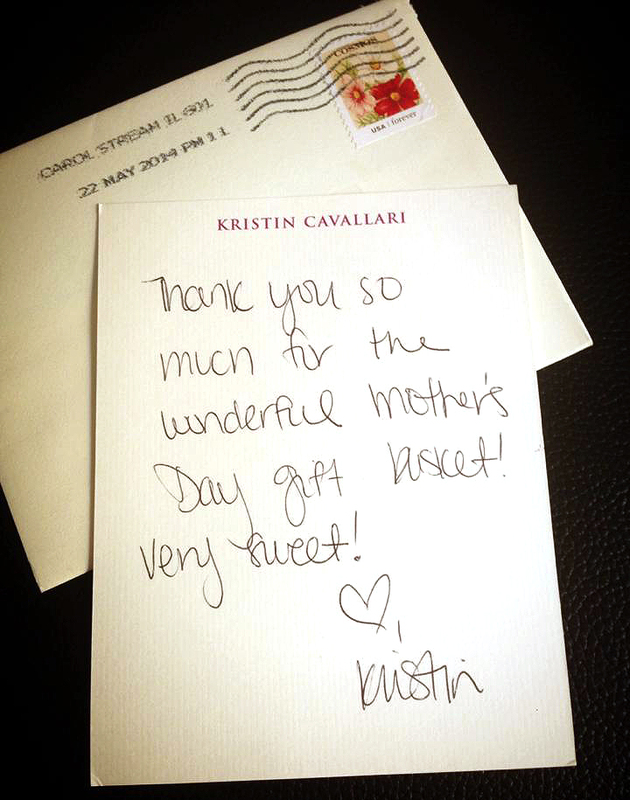 Many thanks were given by these popular Moms, including hand written thank you notes! It was exciting to be able to gift these new moms and know that they would enjoy our handmade creations made specially for them from the depths of our hearts!